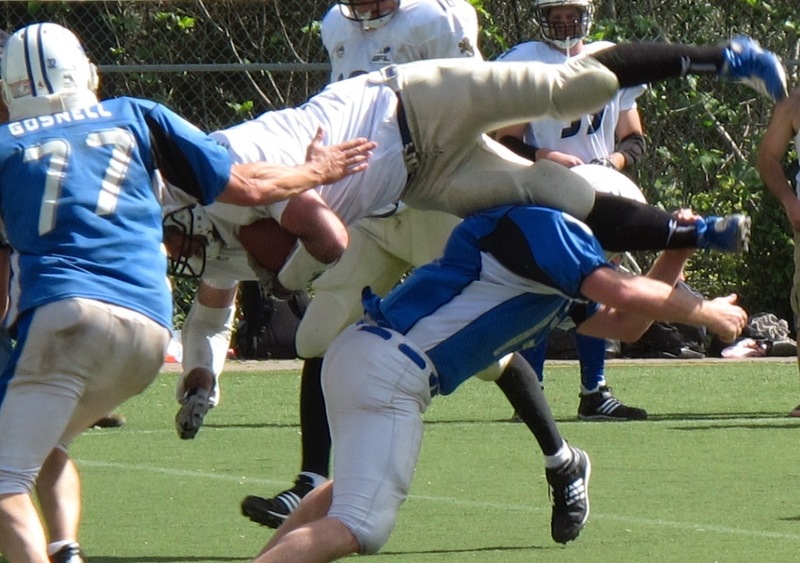 Israel has an American football league, the Israel Football League. As a member of the league's media unit, I've photographed at some of the games. Here are a few of my favorite shots. Two officials take a breather from the 2013 Israel Bowl to play with this puppy near the sideline. 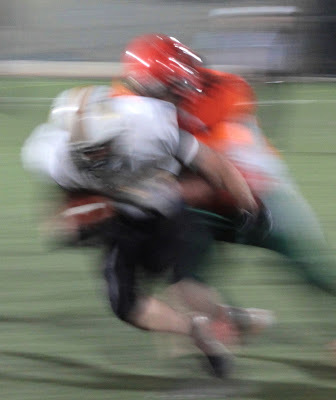 I sometimes like the effect of slow shutter speed. Note even the official in the background. 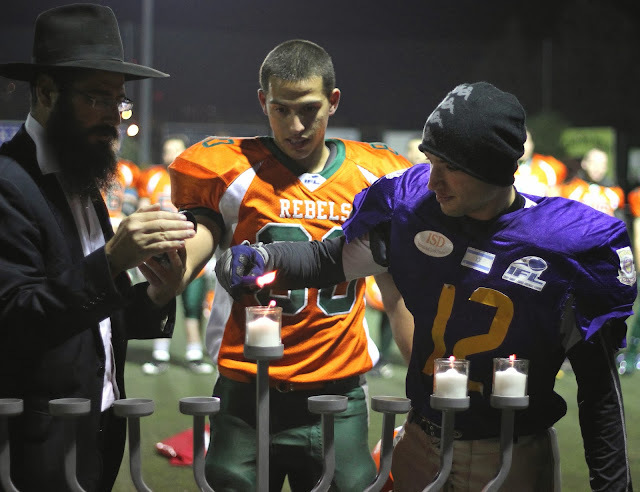 Before a game during Hanukkah, players light the Hanukkah candles. 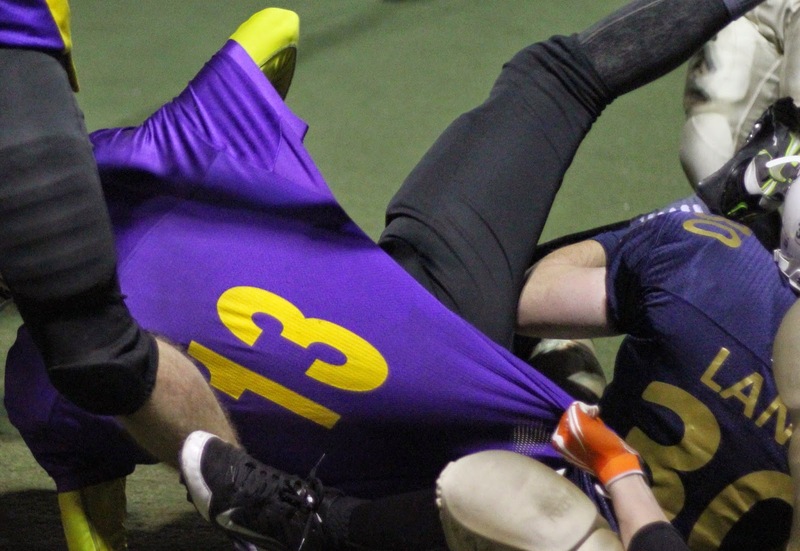 During an IFL game, if a player gets hurt, both teams kneel in respect and prayer for the injured player. By the way, in this photo, also note the female official (2nd official from left). The Mascot of the Jerusalem Lions.